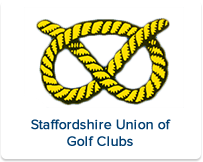 Junior Coaching :: The Union exists to promote golf in the County and to provide competition for the top county players as a route to Midland and International golf. Junior golf is run by a dedicated team of volunteers, headed by Michael Tunnicliffe. Boys of any age who show potential are offered coaching, subject to being members of affiliated clubs. Currently there are County sponsored competitions for boys from the age of 11. Tony Gull, Oxley Park G.C. Charles Birchall, Ingestre Park G.C. Each Affiliated Club has it's own Junior Organiser.